Check out our Contact Us page to join our club and pay by PayPal! 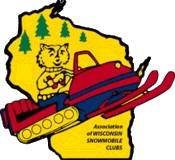 The Brule River Riders Snowmobile Club (BRR) is a family oriented club that was formed in Brule, Wisconsin on September 24, 1988. The club was formed by several members of the Superior Storm Riders, who resided out in the Brule area. Our first club-owned groomer was a Bombi and was purchased in early winter of 1991 which served us well up through the mid-1990’s grooming local club trails. On January 1, 1993, we entered into contract grooming and maintenance through the Northwest Trails Association. Our area was Trail 4 from Brule to the north junction of Trails 4 and 41. The next year we started grooming Trail 27/27A in the Brule River State Forest. In 1995 we contracted with the Tri-County Corridor Commission to groom Trail 2 from Brule to Superior. Our club is responsible for grooming 128 miles of trail and fully maintaining 97 of those 128 miles. The area that we are responsible for is basically the northeast quarter of the county, including the Tri-County Corridor into the eastern edge of Superior. Over the years the club has also owned a Bombardier SV 252 and a 1994 Gilbert. Our present fleet is a 2011 6430 John Deere 4WD tractor, a 2017 6130R John Deere 4WD tractor and two 2000 Sur Tracs (TS 110 New Holland tractors retrofitted with tracks).